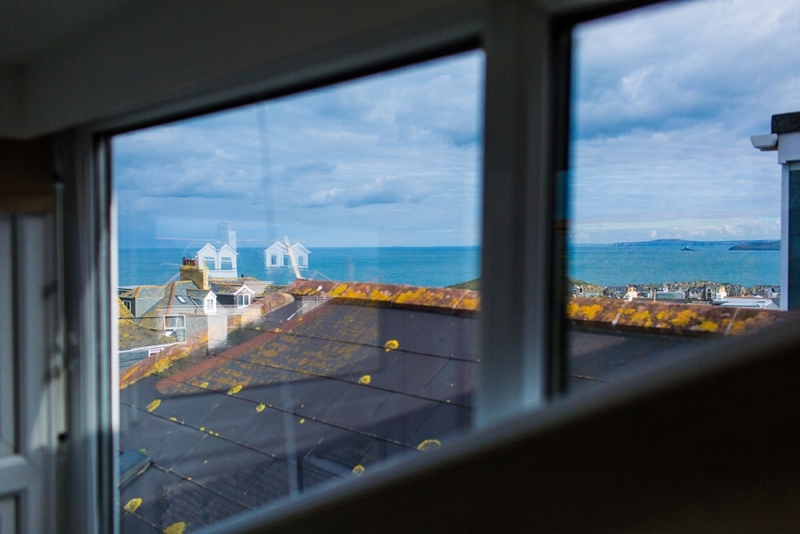 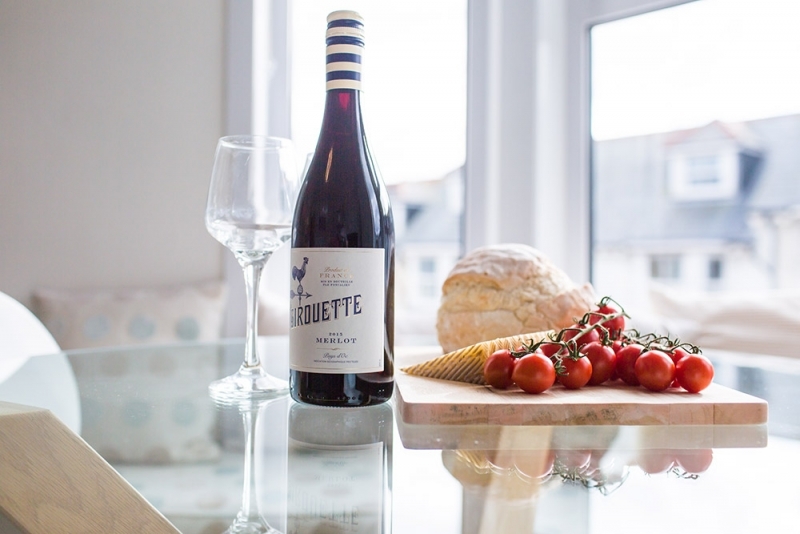 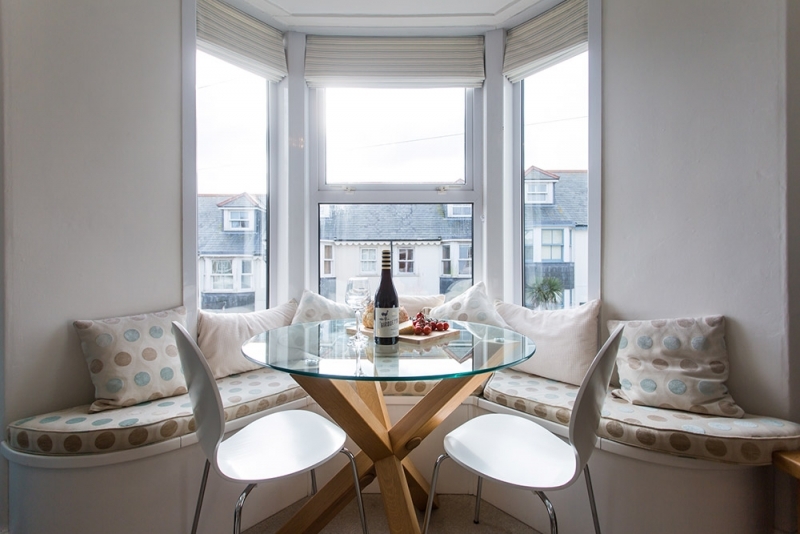 Spread over the top two floors of a beautiful Victorian terraced house, this lovely property is within easy walking distance of the town and just a five-minute stroll to Porthmeor Beach. 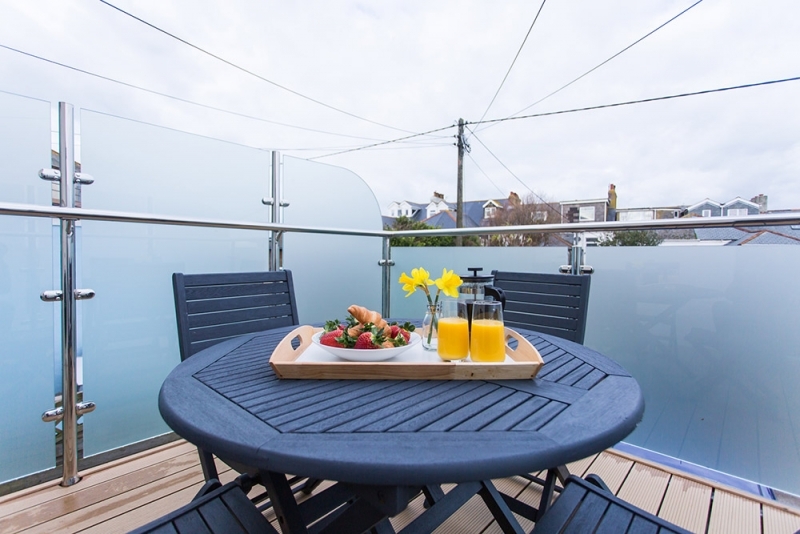 Quarter Deck boasts an outside terrace to the rear of the property and private parking. 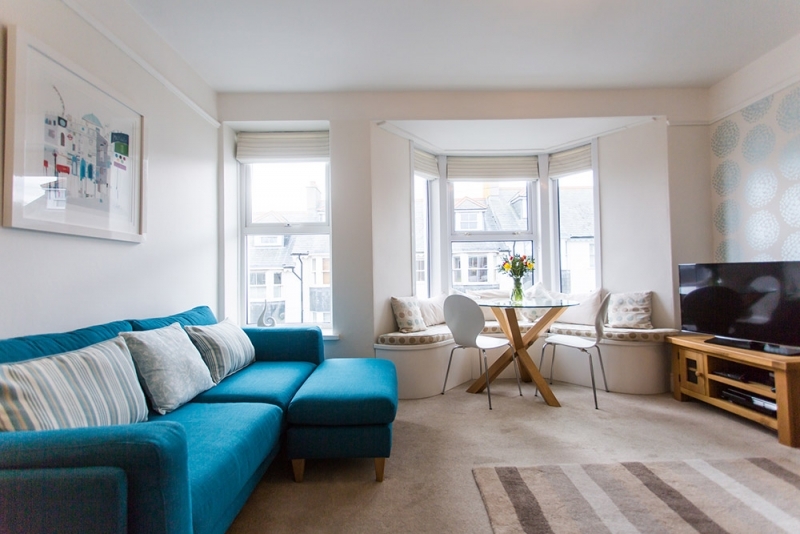 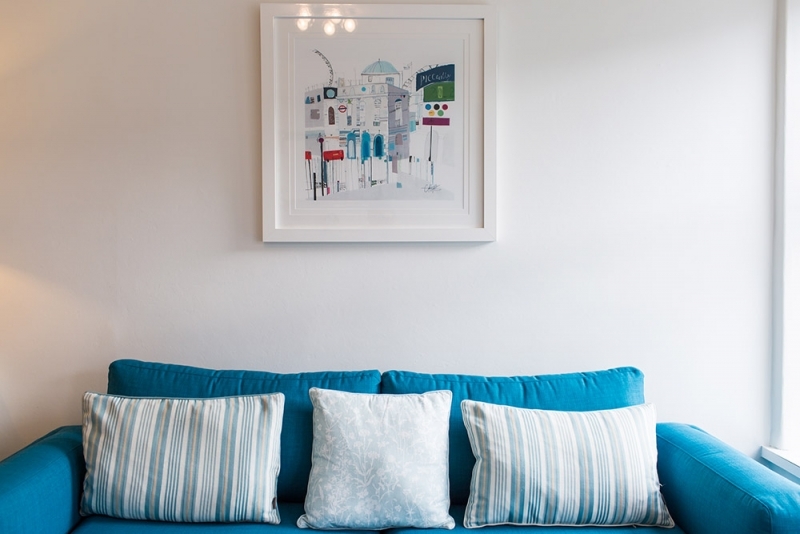 It is light, bright and airy with a homely feel. 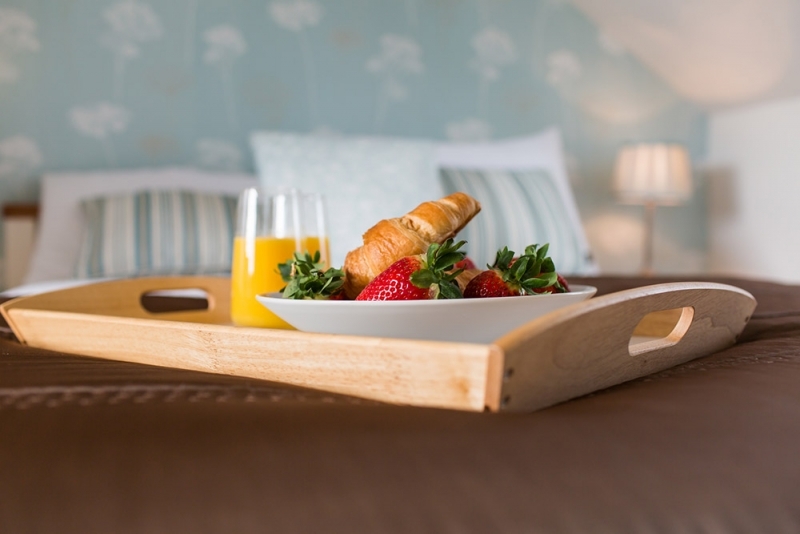 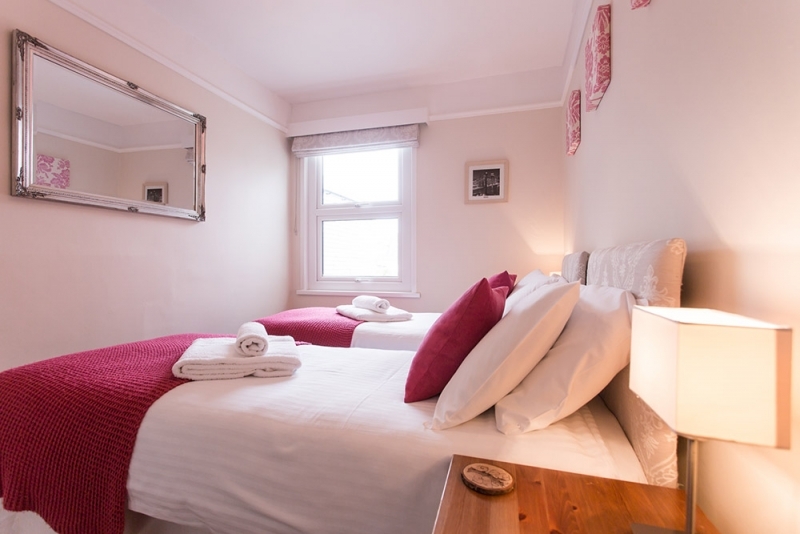 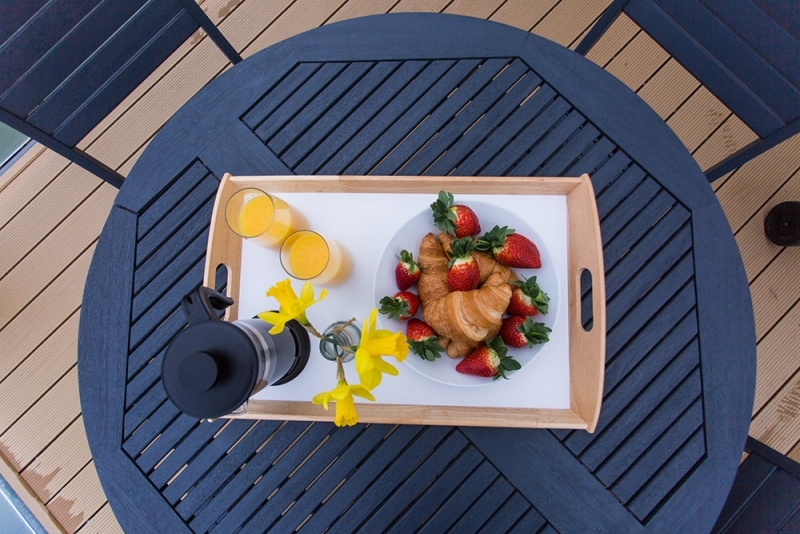 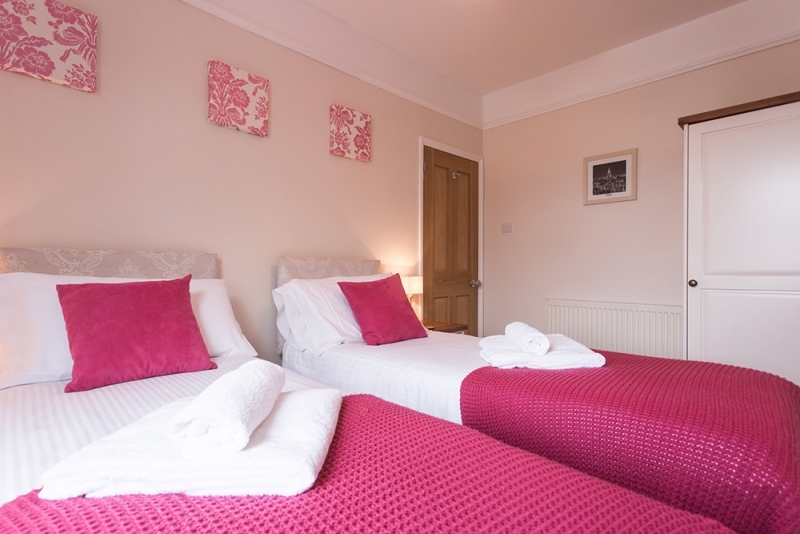 Special rates when booked alongside the downstairs apartment (Lower Deck) Can accommodate up to eight people. 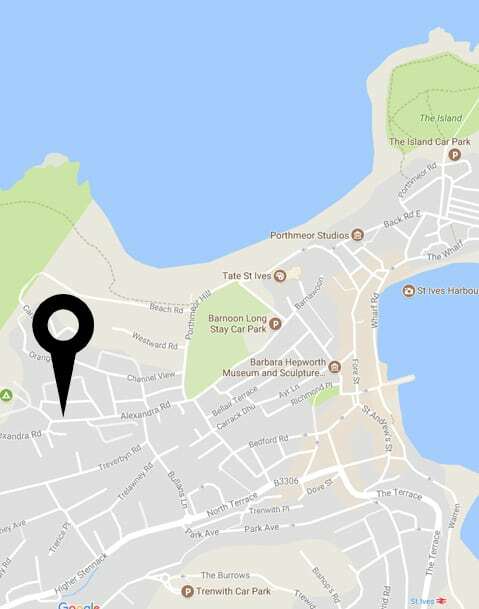 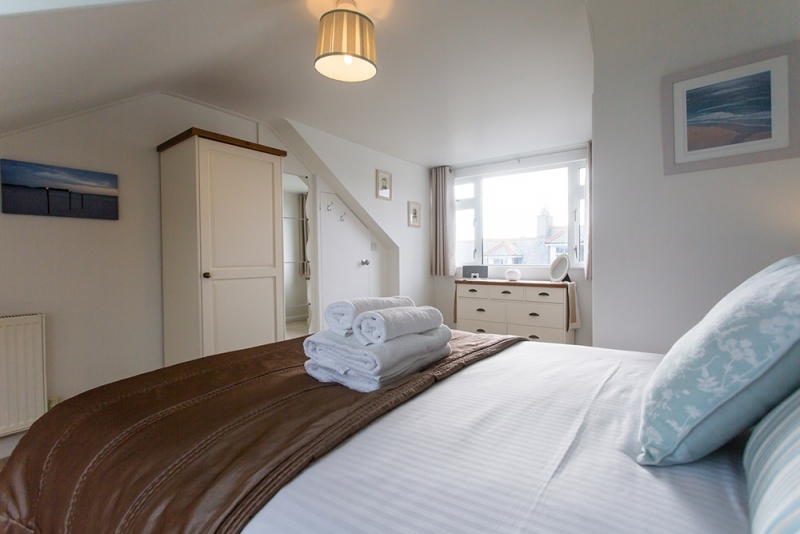 Bedroom 1 – Spacious attic room, double bed with luxury Egyptian cotton linen, wardrobe, chest of drawers, hair dryer, en-suite WC, sea views. 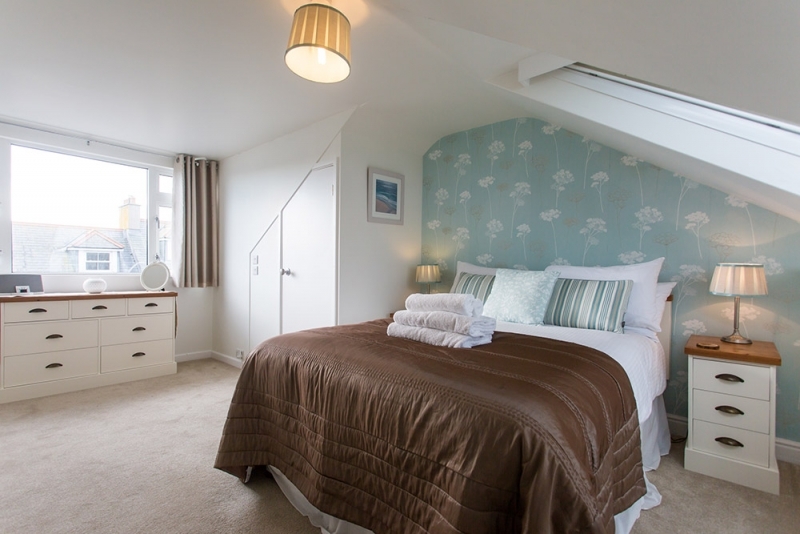 Bedroom 2 – Zip and link bed, can be king size or twin beds, wardrobe. 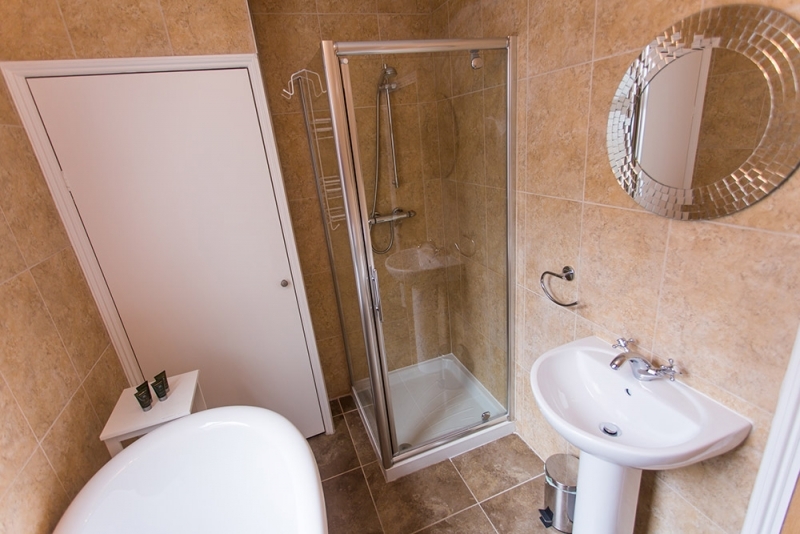 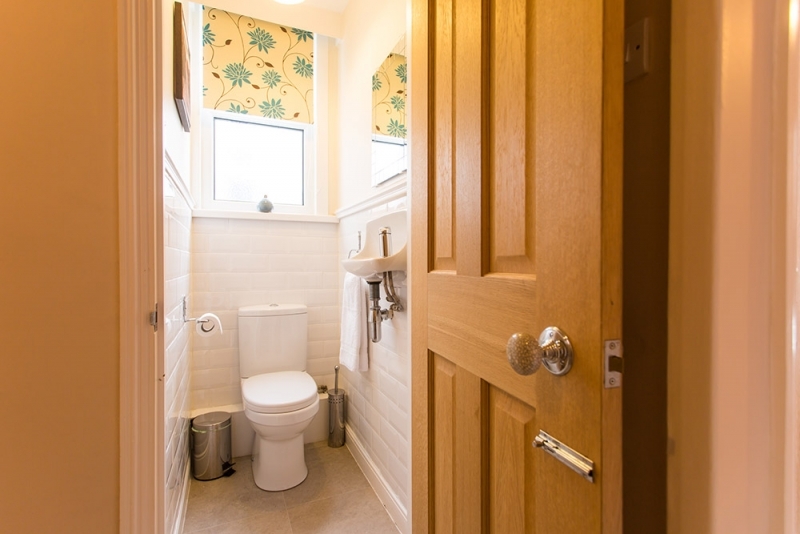 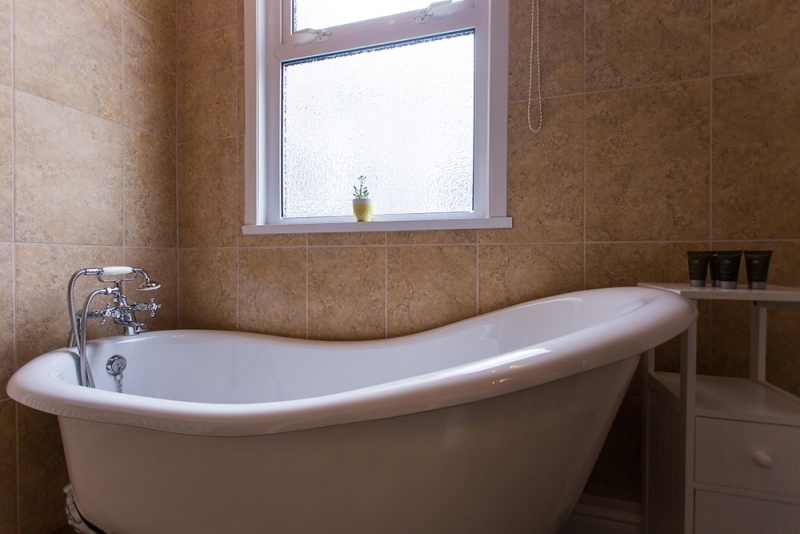 Bathroom – Free standing French Slipper bath, separate walk in shower cubicle, basin, separate W/C, complementary Out of Eden toiletries. 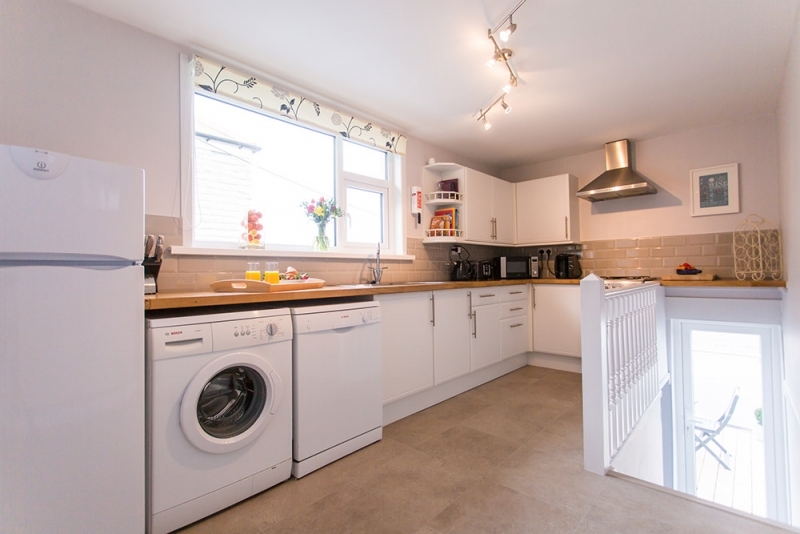 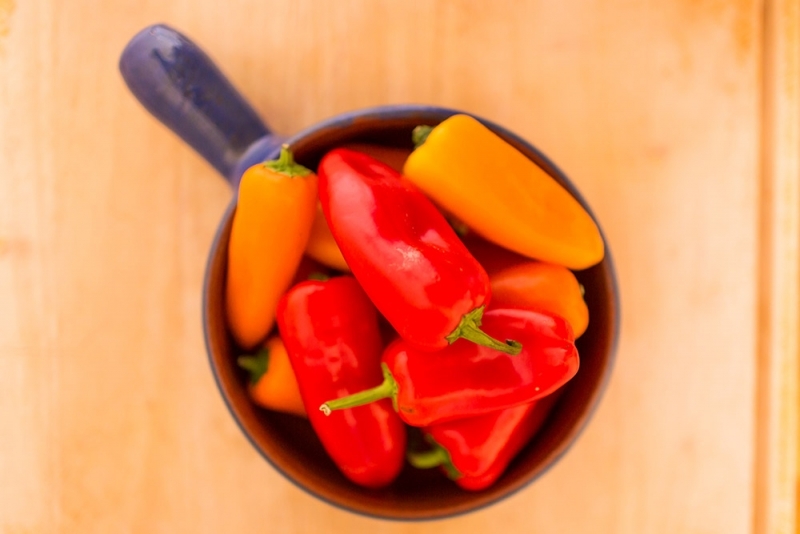 Kitchen – Fridge/freezer, gas hob/electric oven, microwave, kettle, toaster. 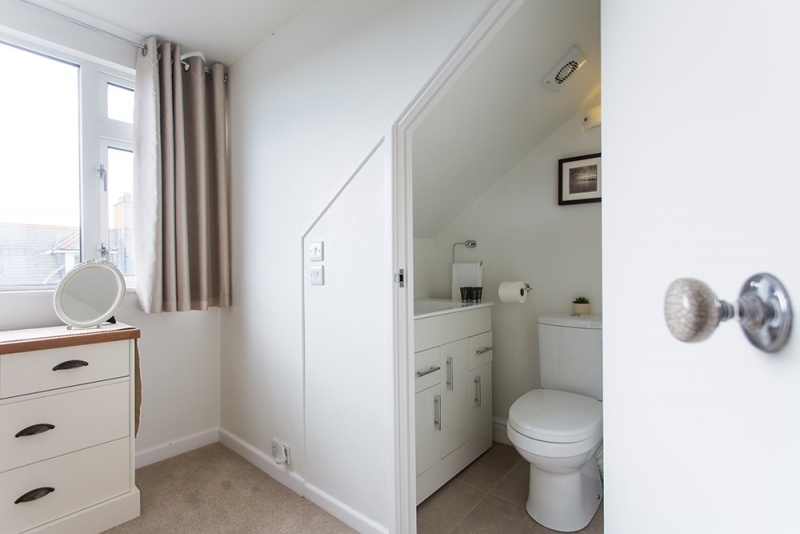 Laundry – Washing machine, tumble dryer, iron and ironing board. 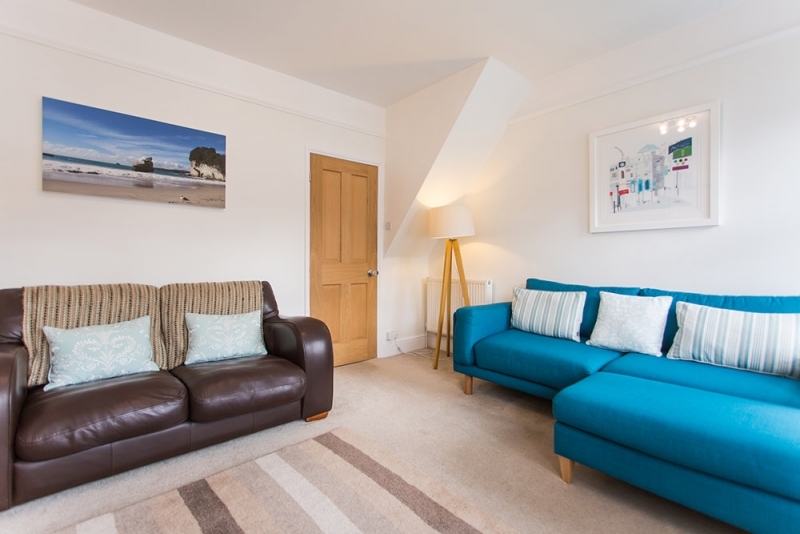 Lounge – Two sofas, sunny window seat with sea views, dining table to seat four, feature fireplace, TV, DVD player, PlayStation 3, Bose iPod docking station. 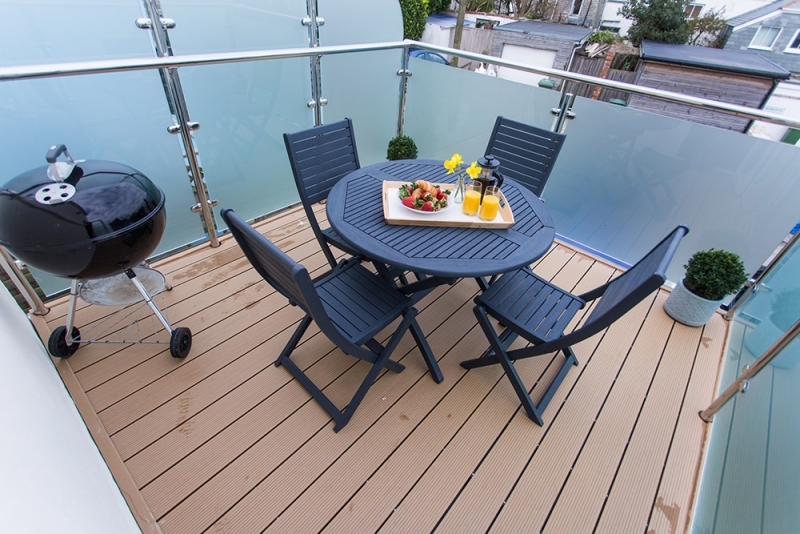 Outside – Private terrace with table and chairs, BBQ, parking for one car.